children Ellen (Caroline) Barton b: 8 July 1819.
information that confirms this (I previously believed Ellen's father to be "Dan"). Church of England. Can you tell me more about the 37th Regiment? Thanks a lot! out of the "line" so that all other regiments above that number were re-numbered. The 100th Regiment became the 99th, the 99th renumbered as the 98th, etc. including the old 100th (which had been first renumbered as the 99th. accept the land grant in the new military settlement in Upper Canada. the baptism would be recorded in the C of I parish in which these events occured. give an indication of which parish records you could check. Mr. James Devine on the same day. tombstone matches the date listed for John's daughter below. to 1851, I have them in Goulbourn at that time. still exist (some are a census of agriculture). E-mail the Goulbourn Township Historical Society (google them). William settled across the river in Pontiac County and I am decended through John. The Goulbourn Historial Society has some of the work I have done on the Barton's. Hope the above helps and if you have any further questions, please contact me. Are these the Bartons who lived on the 8th concession, Goulbourn? John--which means that his career in the army must have been shorter than 12 years. were related in any way. Have you researched John's land petition? relationship as many of the Bartons in Lancashire were also Irish. Thanks everyone for your prompt replies and information, it was great! Lawson with the following info. Perhaps she got it from you. 11 February, 1817, Banns, John BARTON, of the 37th Regt., private and Helen SEYMOUR. military information match yours? I received this from a different cousin. Arrived Boston 24 June 1710, back to England leaving detachment at Port Royal. 6 years -- Summer 1789 back to United Kingdom. 1814 H.Q. at Burlington, 5 companies at Long Point, then Turkey Point. Queenston and other place near Niagara. 1 companyh from Amherstburg to Michilimackinac. September 1816 H.Q. to Kingston with 2 companies at York, sutumn 1817 at Kingston. June 1818 to Montreal for 3 years. Arrived 17 April 1839 on H.M.S. "Hercules" from Jamaica at Halifax. Left Halifax December 1841 for Cork. Ellen (Caroline) BARTON b: 8 JUL 1819"
what you think and thanks so much for your help! I was intrigued by your latest message. before the census but I am wondering if she was indeed a daughter of John and Ellenor. Daniel Seymour Barton married Eliza Ginks, daughter of John Jinks and Jane Wright. son John who moved to Cleveland Ohio. John and Ellenor's other son John eventually farmed on Concession 8, lot 28, Goulbourn. Benjamin married Harriet Davidson and had at least one son--Frederick William born in 1880.
of this family were Benjamin Barton and Andrew Barton both of whom settled in Huntley. with his establishment in Goulbourn, which was part of the military settlement. a scowl on my face. Canada was a stopgap so to speak on my ancestors journey from Ireland to America. Mostly my Dad's influence I have to admit, he really identified with his Irish heritage! you seen or do you have access to the 1832 census, it's the only one I haven't found online. mentioned that Daniel Seymour was buried there. door to hew parent in the 1851 census. Barton, son of Daniel Seymour Barton and Elizabeth Jenks. I love try to figure it all out! tree. It has really been exciting. I now know why I am strangely drawn to learning more about the Bartons...more later. and male and female children are given. if he was indeed John's son. 8th Concession and the log house was on lot 28, 8th concession, both Barton properties. I seem to have lived in at least one of the original Barton homes! Spooky or what? had never seen its like at the time. He was just standing there as clear as a bell. to determine if this was, as I suspect, the Barton house. Henry Barton marrying Ellen Elizabeth Devine in Ottawa in 1896. Barton lived directly across the road from Benjamin Barton on line 8, Goulbourn. **all listed as "Church of England"
their parents, although 1 of the girls is immediately next door with her husband. Susanna Barton, born abt 1838, married Moses Black who was born abt 1829 in Belfast. Moses, Margaret Ann, Thomas William, and Mary E.(married Henry G. Shippee of New York). and inadvertantly put down C. without thinking is my guess). was born in Canada abt 1798. John Barton died a Methodist 4 April, 1870 at age 76.
at least 8 or 9 children, at least 7 of whom married and had families of their own. Anyway, just whiling away a lazy afternoon - hope someone can use some of this. married John Keys in 1874). Moses, Margaret Ann, Thomas William, and Mary E.(married Henry G. Shippee of New York, USA). in Canada abt 1798. John Barton died a Methodist 4 April, 1870 at age 76.
the exception of the Johns and Williams who seem to be in every family of every surname! This is from the no-relation Sue who just loves doing genealogical detective work. This is today's findings, about the Huntley twp, Carleton county Bartons of Ireland. 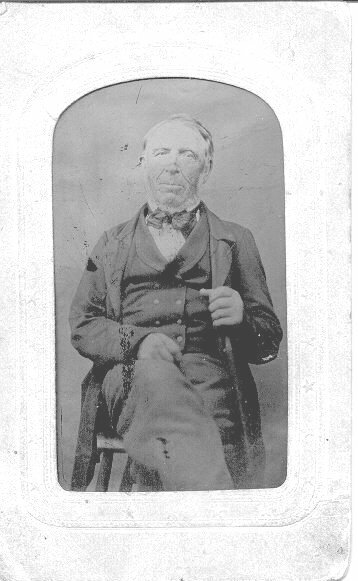 1)  Benjamin (1798 Ireland - 1877 and married to Jane (Dolan? 1792-1878). all born in Upper Canada:  William(abt 1833), Jane Ann(abt 1835), and Eliza (abt 1838). in Perth at age 79. Eliza died in Perth 25 Aug 1909 at age 73.
more, but I am just going by records. Sarah Ann(1853-1915 married William Cowan); Caroline (1857 - 1927 married Edmund Cowan). (after grandmother Isabella? or mother's maiden name Bell? ), and Frederick. 5) Margaret (abt 1837 - 1890) - never married. to name your children after your parents & grandparents. John G. Alexander. Only information given was that he was abt 80 and born in Ireland. next door to daughter Eliza and her husband James Alexander. The John Barton family is related to the Moses Black family.